Toptal members and guests are welcome to cowork — or just stop in to say hello — April 18 between 11:00am and 2:00pm. It’s an ideal opportunity to strengthen connections with local professionals. 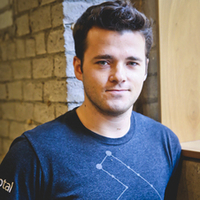 Your host is Ethan Brooks, Toptal’s North America Community Lead. Cities around the world will be participating: see all upcoming events here. Want to host one in another city? Contact [email protected] to find out more.